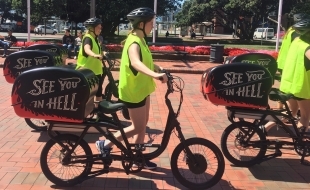 Hell Pizza is always launching something new and innovative. Hell unleashed its new fleet of 40 zero-emission electric delivery bikes with the help of Engage bikers. 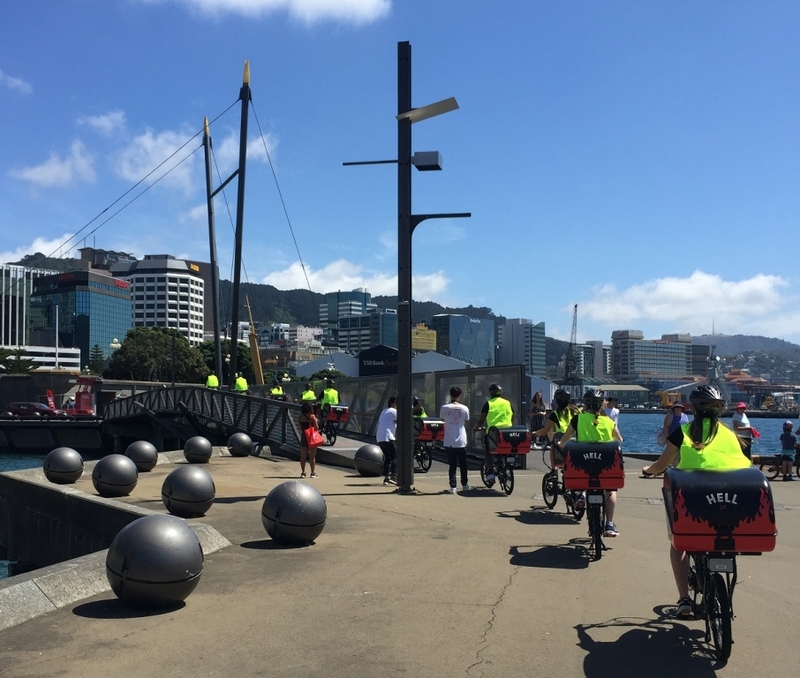 Before the nationwide launch, our staff manned ten of the new bikes and did a little tiki-tour around Wellington’s CBD. Staff were armed with amazing free, freshly cooked pizza for hungry passers-by. Once the bikes hit the streets passers-by were cheering and stopping staff to see what the new delivery option was all about. Staff stopped in a popular park to hand out the freebies and were swarmed by the Wellington locals.